"A Kiss Goodnite" reveals the romantic, or at least the less frenetic side of Sonny Burgess. History has shown this to be a fine, engaging track. The shuffle rhythm works to perfection and guitarist J.C. Caughron has some fun with the vibrato arm of his guitar. It is disappointing that no more Sonny Burgess material was issued in the three years of life still remaining in Phillips International (and six years in Sun). In particular, Sonny's "Find My Baby For Me", recorded with Roy Orbison, would have made a wonderful and worthy single. The Sun log books show that Sonny Burgess returned to Sun in 1959 and cut another single that was issued in January 1960 on the Phillips International label: "Sadie's Back In Town" b/w "A Kiss Goodnite". 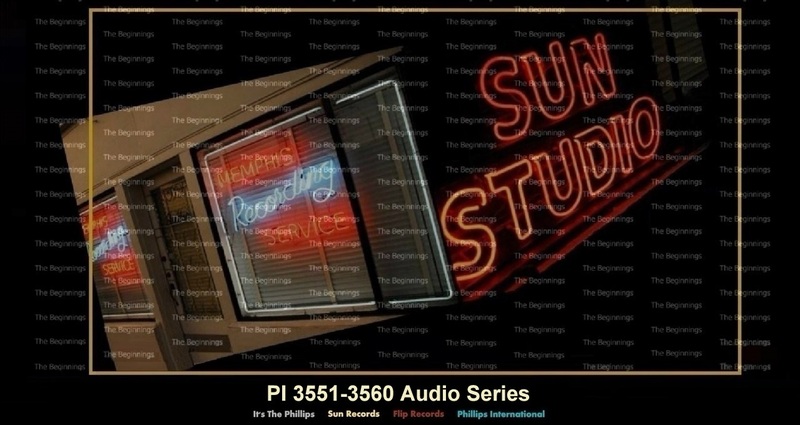 However, Sonny believes the single was recorded earlier, and released on Phillips International to try and breach a new market, was his last for Sam Phillips. With the unpredictability of Sun paperwork, he could be correct. Oddly, the record sported a thin, poorly balanced sound but was nonetheless true to the Burgess credo. Spirited as ever, Sonny turns in an enthusiastic piece of nonsense, surrounded by a group of sidemen who had obviously never seen the inside of a Prozac bottle. Sonny recalls that his brother-in-law, Harry Adams, came up with "Sadie's Back In Town", although Jimmie Rodgers might very well recognize a good portion of the words and melody as belonging to his 1928 song "My Little Lady". If ''Lonely Weekends'' hadn't taken off like a rocket, this flipside ''Everything I Do Is Wrong'' might have stood a chance of chart success on shock value alone. Records simply didn't sound like this in January 1960. If you want a one-word description of this record it's ''relentless''. It just keeps coming at you. The song is built around just two chords - which is quite a rarity. Its chorus or release, if that's what it is, involves the same two chords. There's no movement other than the key changes. Just verse after verse after verse separated by key modulations (it starts in G and ends up in A) that are signaled by the wonderful extended single-stroke drum rolls of Jimmy Van Eaton. The song is based on essentially the same recipe as ''Lonely Weekends'', minus the romantic angle and the commercial overdubs. The anchor is, once again, Jimmy M. Van Eaton working his bass drum front and center in a dum / da dum beat that drives everything the tension intact. Charlie Rich's vocal is as virile and dramatic as it's ever been; his piano is solid; the lyric is clever, even if it's about a loser, and Martin Willis's baritone sax, played directly into the bass drum mike, rivets our attention for the eight bars it's on display. Charlie knew what he wanted and sang the solo to Willis beforehand, and Willis proceeded to bring it to life on his horn. It's the approach Dave Bartholomew often used on Fats Domino records like ''Blue Monday''. Keep the solo simple; keep it melodic. Then give the song back to the singer. The Gene Lowery Singer* chorus and percussion effects. On "Sound Of The Border" Carl Mann and his band finally found a tune worthy of their treatment. It features simple chord changes and an appropriately Latin theme to go with their patented rhythm. In truth, the version that Carl left in the studio was far better than the gimmicky overdubbed production that finally hit the market in May 1960. Arguably, the fate of the A-side barely mattered in this case. The joy that awaited anyone brave and smart enouch to flip record over more than compensated for all studio excesses. ''I'm Coming Home'' is quite simply Carl Mann's masterpiece. It is his best recording at Sun and, thus, his best work ever. The reasons are quite straightforward. Charlie Rich has written a wonderful tune based entirely on the melody line used by Carl on ''Mona Lisa''. Since Carl had actually improvised that melody (rather than using the one performed by Nat Cole) there was no fear of plagiarism. Moreover, Carl wisely surrendered the piano stool to Charlie Rich, thus focussing his attention on singing. This also allowed some finely crafted piano stylings to appear on a Carl Mann record – another first. Everything comes to perfection here, right down to the choreographed slow-down ending that makes this tiny little studio combo sound like a well oiled machine. Eddie Bush again provides a memorable and distinctive guitar solo. W.S. Holland is in peak form here, offering tasty drum rolls to mark the start and finish of most of the 16-bar segments (the song has no ''release'' or chorus). Some of those rolls are preceded by a visit to the crash cymbal. The piece de resistance is the perfectly synchronized final four bars when the band daringly slows down in unison. A moment to cherish, an chored perfectly by Holland. An ardent Elvis Presley devotee, Donald L. Hinton grew up in Carruthersville, Missouri wearing cool clothes, driving a slick car and singing the kind of rock and roll songs that he hoped the King would approve of. A taste of the real thing came when he opened for Carl Perkins, a move that gave him the concocted with Narvel Felts. His moment at the label came and went in a heartbeat but the peppy ''Honey Bee'' is a deserving lagacy. Jeb Stuart is what they used to call a stylist. An entertainer. If you're looking for a straight reading, you won't get it from ''Mr. Emotions', as he billed himself. On ''Sunny Side Of The Street'', Stuart brings his frenetic energy to the lyrics. Like fellow stylist Billy Stewart (no relation), Jeb repeats words two or three times. He seems overcome by his own excitement; he just can't bear any pauses in his delivery. Empty space is wasted space. The effect is strange to say the least. How does one classify such an agitated style? From the beginning of his career, Stuart seems to have oriented himself toward the white audience. It surely couldn't have been coincidence that a black Memphian named Charles Jones took the name of a Confederate cavalry general. Jones/Stuart claims to have been born on June 2, 1945, although one suspects that there's a birth certificate somewhere that tells a different story. He grew up idolising Billy Eckstine, Nat King Cole, Elvis, Fats Domino, and Little Richard, and left Memphis to study at the Chicago Conservatory of Music under Frank Lavere, one of the writers of Cole's hit ''Pretend''. In one of the worst kept secrets in music business history, Jerry Lee Lewis had these instrumental sides released under the pseudonym ''The Hawk''. Supposedly, all of Jerry's problems with the musicians union and the marketplace would go away if his identity were masked. The name was suggested by Sun's new general manager Bill Fitzgerald in a desperate attempt to kickstart Jerry's sagging career. There was certainly nothing wrong with these side, although their effect on the marketplace was considerably short of spectacular. In an attempt to get Jerry some much-needed air-play, Sam Phillips in 1960 came up with the idea of releasing an instrumental single by Jerry under the name ‘The Hawk’, releasing it on the Phillips International label. The ruse failed miserably, but ‘I Get The Blues When It Rains’ was the B-side of the single (the A-side was the old Glen Miller hit ‘In The Mood’). A vocal version (albeit with a long instrumental passage) was finally recorded for the ''Country Music Hall Of Fame Hits Volume 2'' album in 1969. "In the Mood" is a big band era number 1 hit recorded by American bandleader Glenn Miller. Joe Garland and Andy Razaf arranged "In The Mood" in 1937-1939 using a previously existing main theme composed by Glenn Miller before the start of the 1930s. Miller's "In The Mood" did not top the charts until 1940 and one year later was featured in the movie Sun Valley Serenade. "In The Mood" opens with a now-famous sax section theme based on repeated arpeggios that are rhythmically displaced; trumpets and trombones add accent riffs. The arrangement has two solo sections; a "tenor fight" solo, in the most famous recording, between Tex Beneke and Al Klink, and a 16-bar trumpet solo. The arrangement is also famous for its ending: a coda that climbs triumphantly, then sounds a simple sustained unison tonic pitch with a rim shot. "In The Mood" was arranged by Joe Garland and Andy Razaf based on a pre-existing melody. The main theme, featuring repeated arpeggios rhythmically displaced, previously appeared under the title of "Tar Paper Stomp" credited to jazz trumpeter/bandleader Wingy Manone. Manone recorded "Tar Paper Stomp" which did not become popular until the middle of 1930, just months before Horace Henderson used the same tune in "Hot and Anxious", recorded by his brother's band, The Fletcher Henderson Orchestra, on 1931 March 19. Under copyright rules of the day, a tune that had not been written down and registered with the copyright office could be appropriated by any musician with a good ear. A story says that after "In the Mood" became a hit, Manone was paid by Miller and his record company not to contest the copyright. The original recording of Joe Garland's version was made by Edgar Hayes and his Orchestra in 1938, with Garland participating. In this recording there was a baritone sax duet rather than a tenor sax battle. Popular thought is that the melody had already become popular with Harlem bands (e.g. at the Savoy Ballroom) before being written down by Joe Garland. Before offering it to Glenn Miller, Garland sold the tune to Artie Shaw, who could not record it because the original arrangement was too long. The Hayes recording also bears signs of being a shortened arrangement. The tune was finally sold to Glenn Miller, who played around with its arrangement for a while. Although the arrangers of most of the Miller tunes are known, things are a bit uncertain for "In The Mood". It is often thought that Eddie Durham (who contributed other arrangements on the recording date of "In The Mood", August 1, 1939 as well), John Chalmers McGregor (Miller's pianist) and Miller himself contributed most to the final version. Glenn Miller's "In the Mood", though undisputably a hit, represents an anomaly for chart purists. "In the Mood" was released in the period immediately prior to the inception of retail sales charts in Billboard magazine. While it led the Record Buying Guide (jukebox list) for 13 weeks and stayed on the Billboard charts for 30 weeks, it never made the top 15 on the sheet music charts, which were considered by many to be the true measure of popular song success. The popular Your Hit Parade program ranked the song no higher than ninth place, for one week only (1940). The Glenn Miller 1939 recording on RCA Bluebird, B-10416-A, was inducted into the Grammy Hall of Fame in 1983. The recording by Glenn Miller is one of the most recognized and most popular instrumentals of the 20th century. The song even appeared in The Beatles "All You Need is Love" number 1 single in 1967 and in the Jive Bunny and the Mastermixers rendition in 1989, "Swing The Mood", a worldwide hit. The Glenn Miller RCA Bluebird recording was released as V-Disc 123B in February 1944 and a new version was released as V-Disc 842B in May 1948 by Glenn Miller and the Overseas Band by the U.S. War Department. 1939 sheet music cover, "Introduced by Glenn Miller", Shapiro, Bernstein, and Co., New York. Notable artists who have recorded big-band versions of "In The Mood" include the Joe Loss Orchestra, Xavier Cugat, Tommy Dorsey, Duke Ellington, Benny Goodman, Artie Shaw, Lubo D'Orio, the Brian Setzer Orchestra, The Shadows and John Williams with the Boston Pops Orchestra. Non-big-band renditions were recorded by the Andrews Sisters, Jerry Lee Lewis, Chet Atkins, Bill Haley & His Comets, Bad Manners, the Puppini Sisters. In addition, in 1959 Ernie Fields and his Orchestra peaked at number 4 on the pop chart and number 7 on the Rhythm & Blues charts. The song charted at number 16 in 1953 in a version by Johnny Maddox. Jonathan King scored a UK Top 50 hit with his version of the song in 1976. Bette Midler recorded the song in 1973 (on the album Bette Midler). The avant-garde synthpop act Art of Noise occasionally performed a rendition of the song on their live shows, in their trademark sampled style. The rock band Chicago added their version in 1995. An unusual version of the song was released on Maynard Ferguson's 'Lost Tapes Volume 2' album. The first 30 seconds are the traditional version, but the band then re-starts with the trumpets taking the lead. A novelty version of the song was recorded by country/novelty artist Ray Stevens in 1977. Stevens' version consisted of him performing the song in chicken clucks, bar-for-bar. The performance was credited to the "Henhouse Five Plus Two". The single was a Top-40 hit in both America and the UK. In 1951 a Ferranti Mark 1 computer at the University of Manchester played "In the Mood", one of the first songs to be played by a computer, and the oldest known recording of digitally generated music. Jive Bunny and the Mastermixers recorded a version of the song as part of a medley entitled "Swing the Mood" which went number 1 in the United Kingdom for 5 weeks. The record reached number 11 on the Billboard Hot 100 in the United States where it also went gold. It was the 2nd best-selling single of 1989 in the United Kingdom.